Bulk and discount pricing available; please contact us. 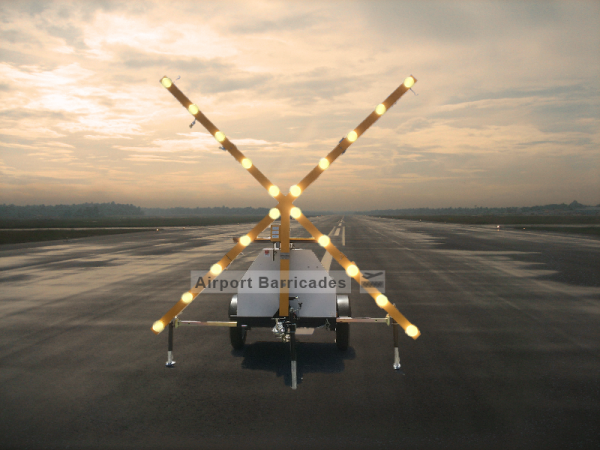 Our Lighted Runway Closure Marker is an effective and oftentimes required system of warning pilots of closed airport runways and taxiways. 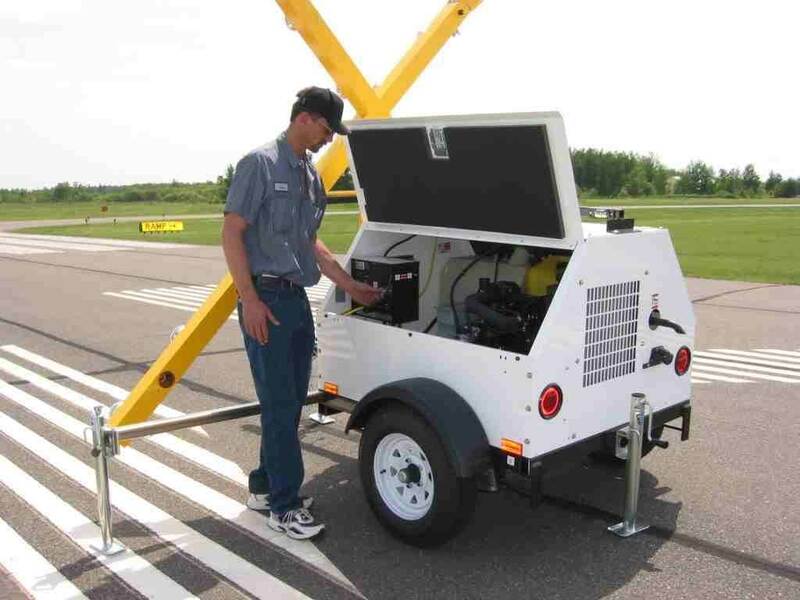 The lighted runway closure marker is a trailered diesel engine that runs 20 spotlights to form an illuminated “X”. The lighted runway closure marker can be seen as far as 25 miles. The trailer-mounted unit can easily be towed behind a vehicle using a standard ball hitch, or pintle hitch. 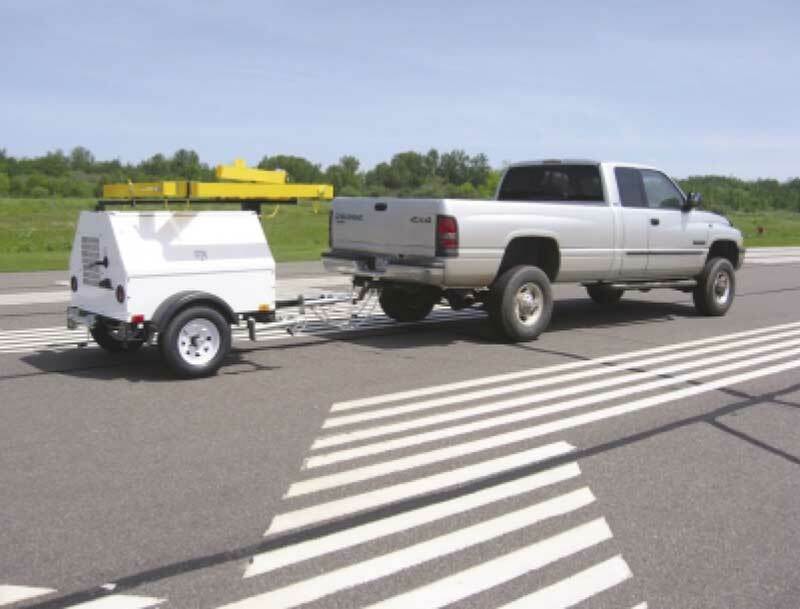 The “X” can be lowered back down to the trailer and folded in order to make transportation easier. Contact our bid room and be sure to ask about rental rates, as we typically have several runway closure markers in our rental fleet. Enjoy pricing for rental or purchase! 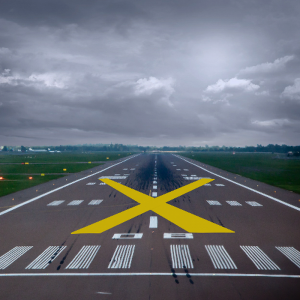 A lighted runway closure X is often necessary when runways are shut down for maintenance. Our lighted x-markers can be sourced for rent or purchase. Be sure to add this product to your quote package. Before you submit the RFQ to our bid room , be sure to select rental, purchase, or both. When is a lighted runway closure marker needed?